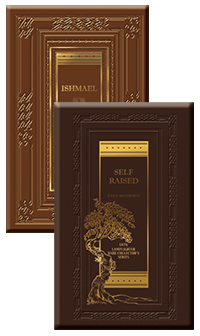 Southworth continues the story of Ishmael Worth in Self-Raised. From the sultry heat of Cuba to the gloomy crags of Northern Scotland, Ishmael stands resolute in his commitment to those he loves. Whether he is wrestling with the icy hand of death or carefully mending broken hearts, Ishmael is ever thinking of the welfare of those around him. 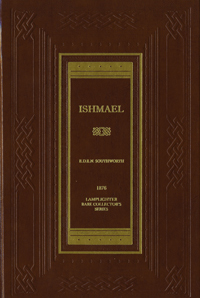 You can always count on Ishmael to be the rock that others need to help them through the most difficult trials. When you finally close the book, you will be disappointed that there are no more pages to read on the life of this beloved young man. From Christian of Farmington, Arkansas on 1/16/2019 . Absolutely Love this series! Keeps you on the edge of your seat. From Lisa Lockman of Elizabeth, Colorado on 10/9/2017 . 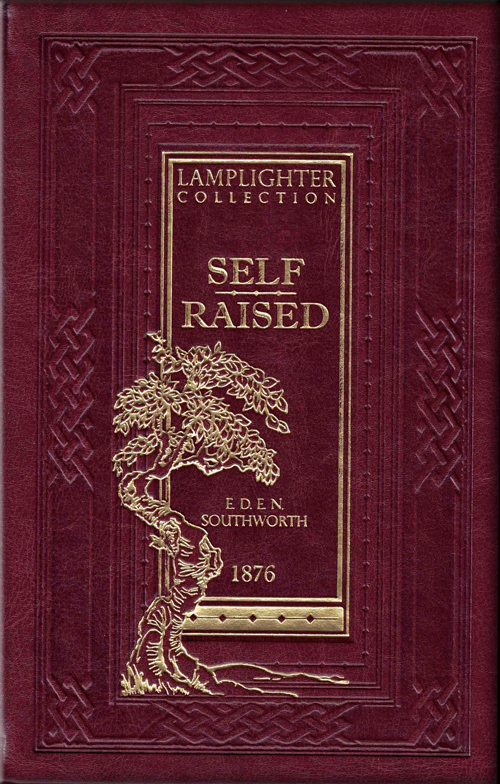 Our daughter asked if we would get her "Self Raised" the sequel to "Ishmael" which she had just finished. Her birthday is a month away but she desperately wanted to finish the series! It did not disappoint! She read it in 5 days and loved the story. Such beautiful lessons of character to discuss with her afterwards! And she was so passionate about the lessons she learned. Thank you Lamplighter for your ministry. It is such a help to parents and a joy to our children! From Anonymous of Monon, Indiana on 5/27/2017 . This Book is a wonderful sequel to Ishmael. The ending is just perfect. Always something to keep you interested with a wonderful message! From D Pfieffer of Utopia, Texas on 11/13/2016 . This is a rich and edifying sequel to the story of Ishmael. You need to read the story to understand the significance of the title. I read Ishmael aloud to our children who spanned ages 7-15 at that time. Then we wanted to know what happened to the boy who was born into poverty and disgrace through no fault of his own as he grew older. His strong moral character kept him from falling into several snares through his life. As we follow him into Self-Raised we see the fulfillment of his purpose. As he faithfully does the right thing (with an occasional misstep), we see that he earns the respect and admiration of all in his ever-expanding circle of influence. My only caution would be to explain the time of the writing (mid-1800's) and the handling of the characters who are servants (perhaps slaves, but that is not addressed much). I thought these characters were handled in a charming and respectful manner, but others may be more sensitive to this issue and may wish to use these parts of the story for commentary on the difference of perspective from one point in history to another. It is an incredibly inspiring story. Great Build Off Of Ishmael! From Stephanie Simpson of Corinth, Mississippi on 1/27/2016 . I'm 15, and most of the time sequels like these leave me asking,"What if....? ", but not this book! It is definitely worth reading and continues right where the first story left off (the first one, Ishmael, is also a great read!). Although I do wish, like in the first one, Ishmael was more of a main character than a background one, it made up for that fact by focusing on Claudia Merlin's choices, and how much they affect everyone. Self-Raised also answers all your questions with amazing results that leave you content. 5 stars from me!